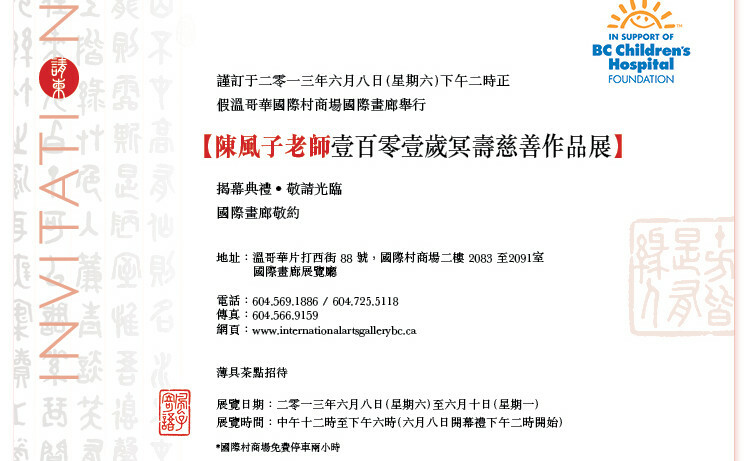 "Heart of Gold – Ming Chen Fengzai Life Charity Exhibition "
June 8(Saturday) 2:00 pm International Gallery was held. When Chen Fengzai children and friend of the deceased people will cherish the memory of Chen Fengzai attended teacher's cultivation, attainments and character. Painting exhibition in Mongolian column Ye Wen Temple treasure them batch 陈风子's Seal works on display at the time of donation charity，Revenue donated BC Children's Hospital Foundation. 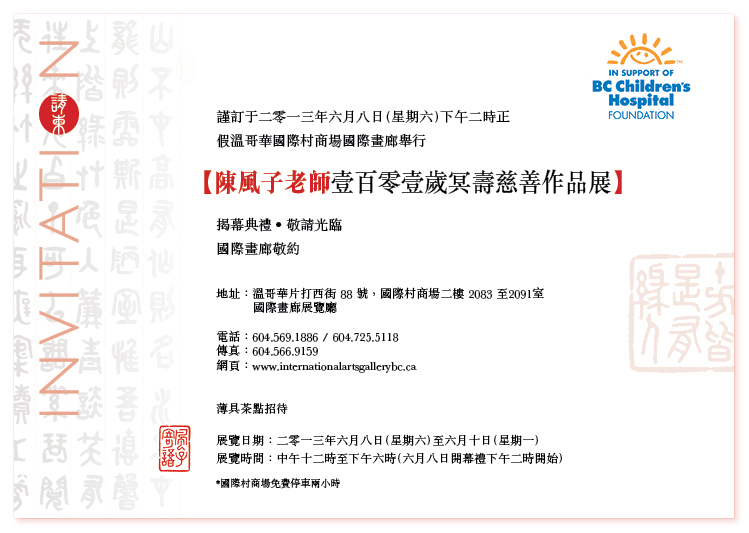 At the same time，Chen Fengzai teacher friends have to donate or lend support collections or exhibition. The collection was exhibited in seal script, calligraphy and seal carving, chop up the total number of 60 I pieces，Beautiful. You will look forward to attending.